The Fibonacci Sound Healing is a very powerful healing modality that works for physical, mental/emotional and spiritual level. 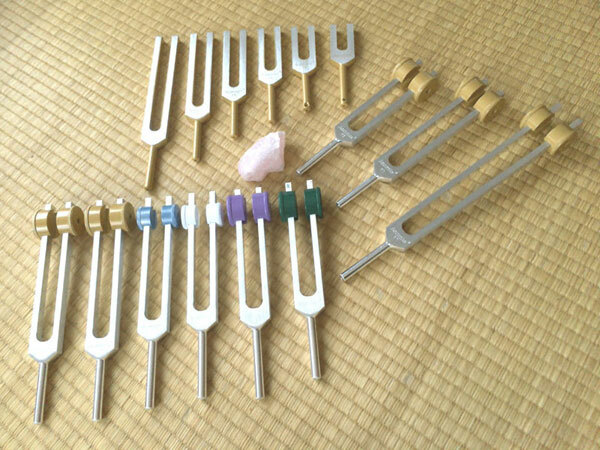 The tuning forks are applied to the activation points located on your body relating to the Eight Extraordinary Vessels of the acupuncture system. The sound penetrates as effective as needles. The special frequencies of sound based on the Fibonacci sequence act as the perfect carrier of intention that unseen aid in any moment of healing. Sessions usually last approximately 60 minutes. NOTE: The Fibonacci Sound Healing is not medical treatments. Please do not replace medication with it.